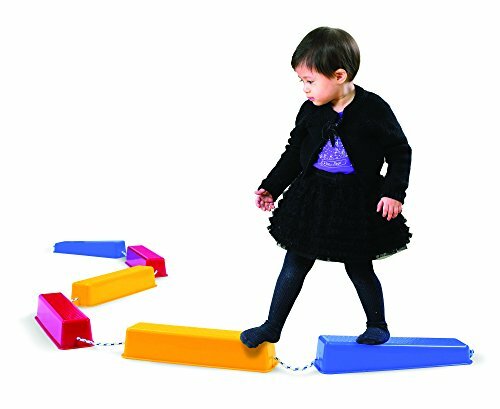 IMPROVE COORDINATION — Use these balance beams to teach better balance and proper movement while building the child’s sense of coordination in a supportive environment. TEACH CONFIDENCE — A great kindergarten toy to teach children confidence as their balance improves. The Step-a-Logs work well indoors and outdoors, especially when matched with other challenges in an obstacle course! ENCOURAGE CREATIVE PLAY — Kids love creating their own obstacle courses! Incorporate Step-a-Logs into a household mix of cushions, chair tunnels and pillow cases for sack races to keep them entertained and having fun. 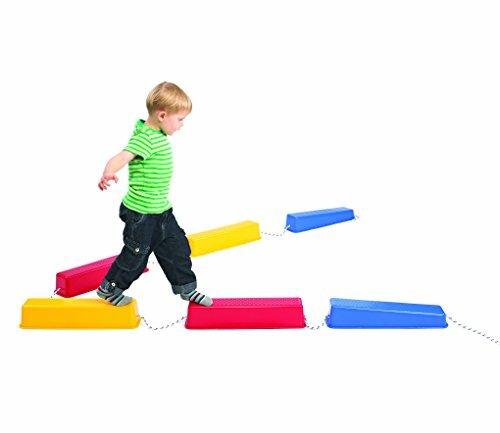 Six brightly colored, sturdy logs are connected with nylon rope in this fun and useful tool for building balance. Two ramps enable easy access for children to walk one foot in front of the other on these balance platforms. Each log has a ribbed top platform to help prevent slipping. The rope in between the logs may be adjusted to different lengths and degrees of difficulty. 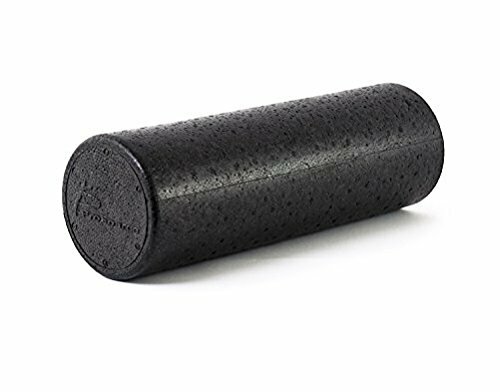 Made from strong polypropylene, these logs can easily support an adult’s weight. Each log platform measures L19. 75″ x W5. 5″ x H4″. Total length with rope extended measures 14. 50 feet. For ages 2+. 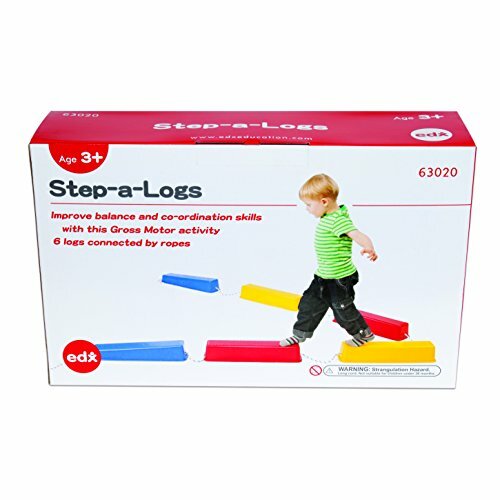 The improved coordination, balance and movement patterns your child experiences with Step-a-Logs will help them to gain confidence and a wonderful sense of achievement. 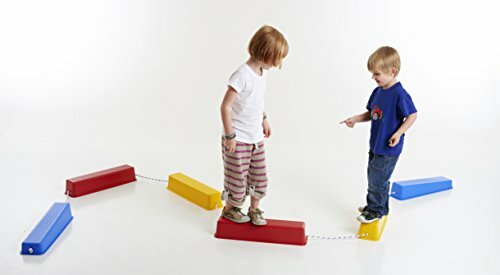 VARIABLE DIFFICULTY — The balance step logs are connected with rope so that each can be moved closer or further away, creating a new challenges for kids as they progress. SAFETY IN DESIGN — Balance ramps at both ends enable easy access for children to balance walk up. The ribbed tops help prevent children from slipping. 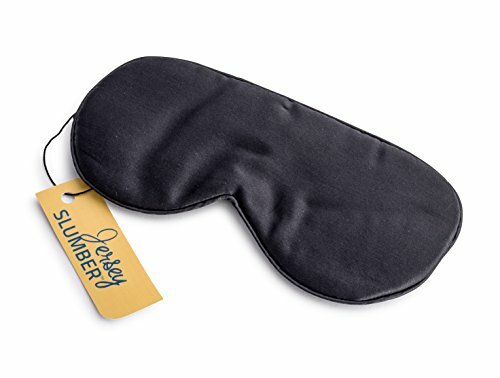 A GREAT GIFT IDEA — Give the gift of balance and physical activity! Toys that encourage the development of gross motor skills are a favorite of children and their parents alike. BUILT TO LAST — Step-a-Logs can easily support the weight of an adult. 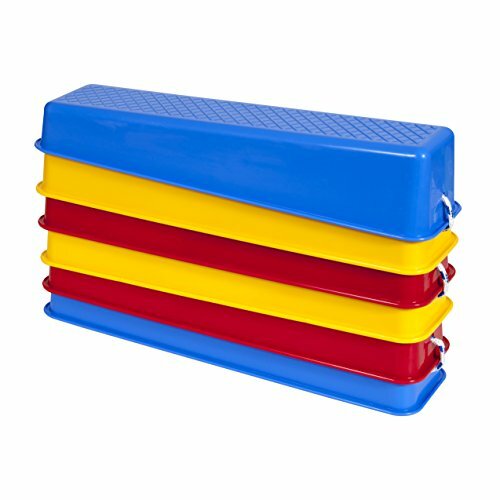 The learning toy has a modular design that can scale up or down for children’s learning experience, plus they can stack for efficient storage.